In 1846, the Bristol Mercury reported that Aaron Riddiford of North Nibley, Gloucestershire had died aged 92. He had lived his entire life on the farm where he was born and only ever travelled a few miles from his home. That same decade a young cousin of Aaron, my ggg grandfather Charles Riddiford, said goodbye to Gloucestershire and moved to Buckinghamshire. He married Elizabeth Richardson Cooke and started a family, but he was looking for more. By 1851, he had taken the family to Clerkenwell, London and worked as a tailor. Shortly after he was off to Bedfordshire as a Police Constable. After his discharge for poaching, he packed up the family and moved back to Buckinghamshire, joining the Haddenham constabulary. 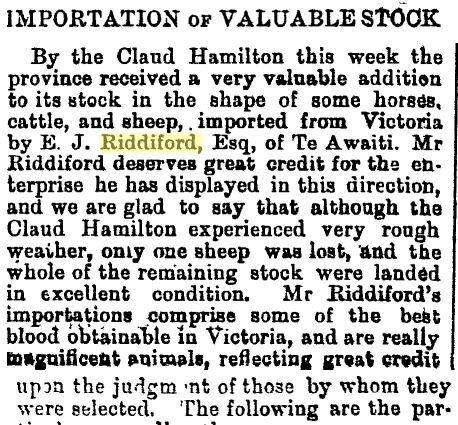 A son of Charles, Thomas Cooke Riddiford inherited the wandering gene. In 1872 he took his family to Ontario, Canada looking for the promised land. He didn’t find it and three years later the family returned to Buckinghamshire. They spent some time in London and then back to Bucks. His wife Emma Piddington died in 1883 and by 1891, Thomas had left his children aged 13 to two at the time of Emma’s death, and moved to Lancashire. He remarried twice and remained in Lancashire until his death. 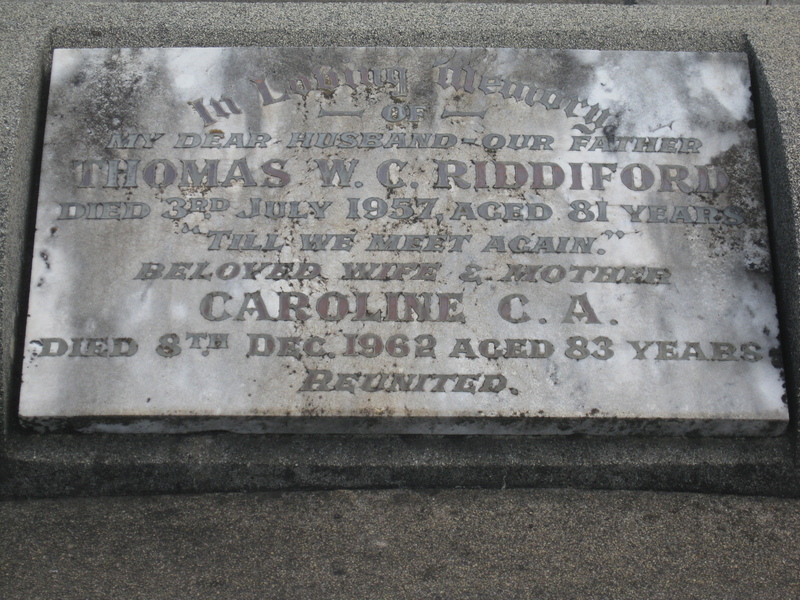 Thomas William Cooke Riddiford, my great-grandfather, a son of Thomas snr. and Emma Piddington was born at the Crown Inn, Cuddington, Buckinghamshire in 1875 and was eight when his mother died. Like his father and grandfather he was looking for something more. 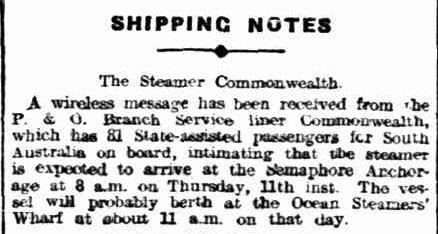 That desire took him to Canada, back to England and finally Australia aboard the “SS Commonwealth“, with his wife Caroline and four sons, including my grandfather Percy, 100 years ago today, on September 15, 1913. Thomas jnr. followed in his father’s footsteps and took up butchering. In 1891 he was living at the Plough Inn, Haddenham, Buckinghamshire and working as a butcher’s assistant. He then made his way to London. At Lambeth, London on February 7, 1896, he married 17 year-old Caroline “Queenie” Celia Ann Kirkin, daughter of railway worker Frederick John Kirkin and Amy Maria Webb, at St Barnabas Church. It may have been a short courtship prior to the marriage in February, as the birth of first child William, was registered in July 1896 at Lambeth. His baptism was at St. Barnabas on August 2, 1896 . Over the next 17 years, the Riddiford family lived at all points of the compass around London. Thomas may have followed work or was looking for the perfect place to raise his growing family. The following Google Map shows the four different residences of the Riddifords during that 17 year period, from Lambeth to Notting Hill, to Leytonstone and finally Edmonton, the last known residence before their departure to Australia. The family suffered a loss in 1903 with the death of two-year old Horace. 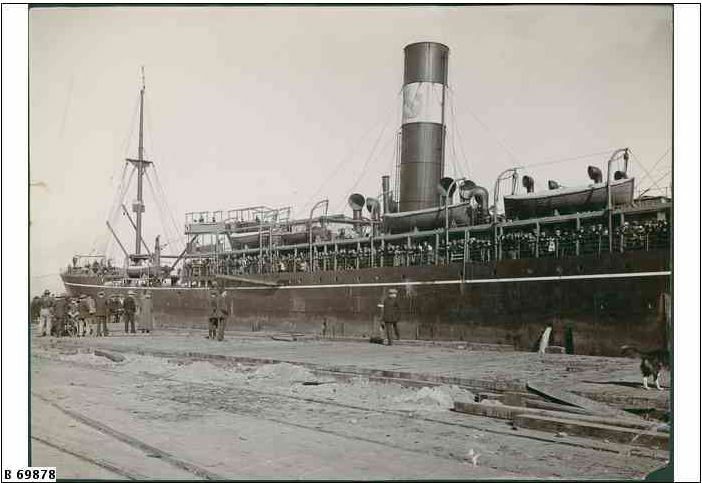 The year 1906, was the only time the family were apart when Tom took a trip to Halifax, Nova Scotia, Canada, presumably with the thought of moving there. He didn’t find what he was looking for and returned to London. 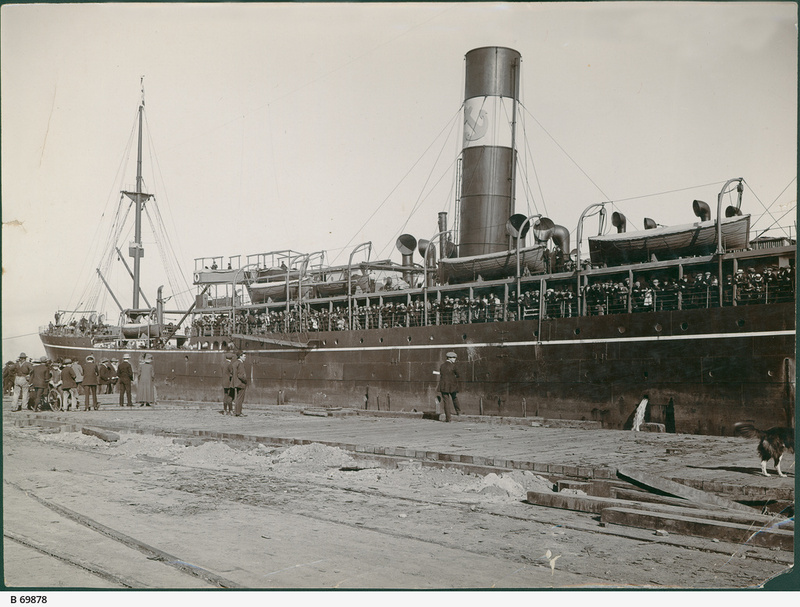 In 1913, the Riddifords took their chances and joined other assisted immigrants aboard the “SS Commonwealth” and sailed for Australia via South Africa, dropping passengers at Adelaide. 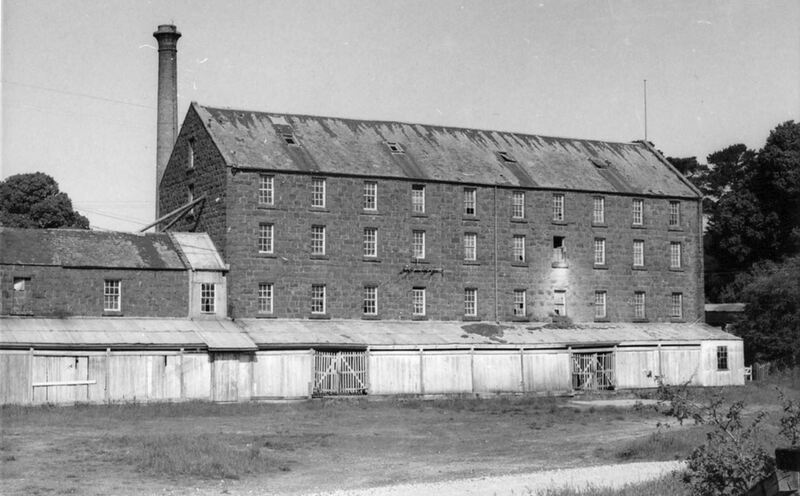 By early 1914, the Riddiford’s had settled at Smeaton, a small town north of Ballarat. 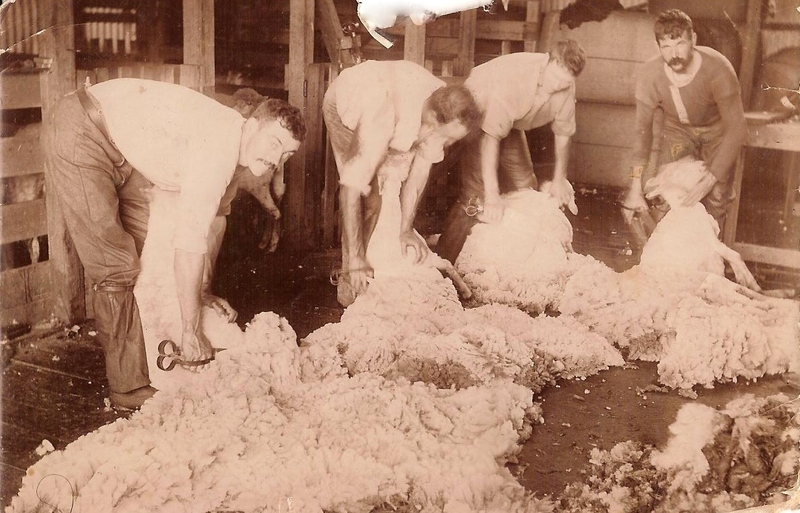 Thomas took up work as a farm labourer and was later the pound keeper. After London, life must have been very different, especially for Caroline who had spent 34 years living in London, most of that time in Lambeth, with smog, pea-soupers, crowding, slums and noise. Imagine how quiet it must have seemed for her…ah the serenity. After six boys, the family welcomed the first girl, Lillian Ivy, to the family in 1914. Maybe it was the fresh air. If Thomas was looking for wide open spaces, he had arrived. However the serenity was soon shattered with the onset of WW1. If they were feeling settled, that would change. 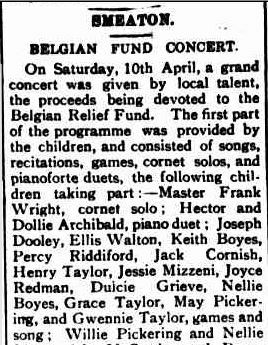 Fundraising on the home front started and the first newspaper reference I have about Grandpa, Percy Riddiford, refers to a Belgian Fund Concert at Smeaton. He, along with other children sang and conducted games as part of their performance. Soon after, the first of Thomas and Caroline’s sons would enlist. While Thomas had unwittingly removed his family from the direct threat of war, over the next four years, three of his sons would enlist taking them into its midst. 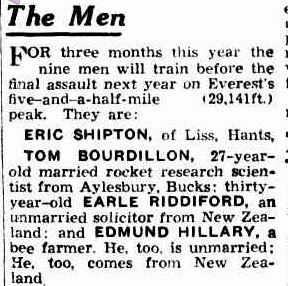 Their decisions to enlist must have been different to other local lads, who may have been second or third generation Australian. Bill, Cyril and Ern, had already had their adventures and travel, surely their greatest thoughts would have been of England. 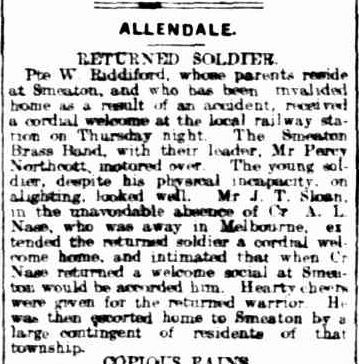 Bill enlisted on September 2, 1915, and arrived in France in March 1916 with the 12th Battalion, but after just five months he was hit by an ambulance, suffering a fracture to his femur. While in the 7th General Hospital his condition was listed as “dangerously ill”. His injury resulted in a lifelong disability. As soon as he was 18, Cyril enlisted, on April 4, 1916, joining the 8th Battalion in France in September that year. Ern, a butcher, also enlisted as soon as he was 18, on February 5, 1918 with the 59th Battalion. He arrived in France on February 1, 1919. 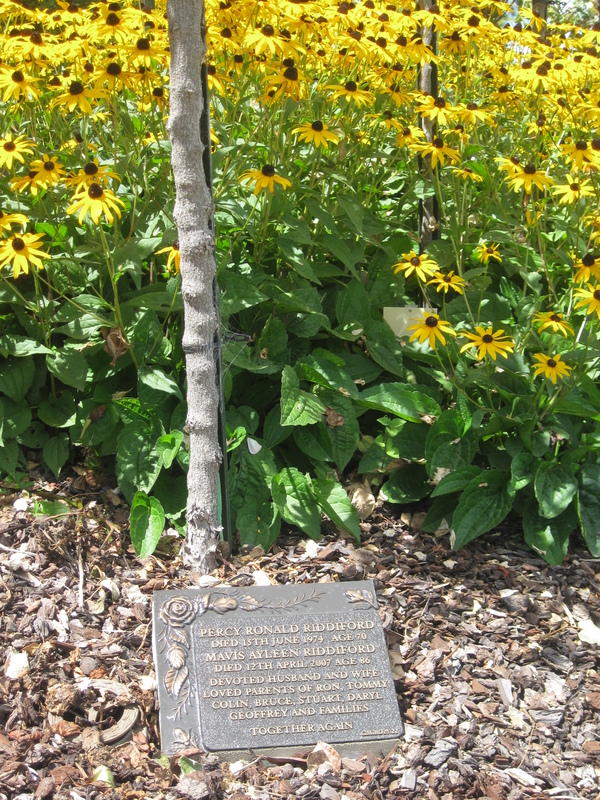 Despite Bill’s injury, the boys returned home safely, their service remembered in the Creswick Shire Avenue of Honour, also known as the Kingston Avenue of Honour. In 1922, at 43 years of age, Caroline gave birth to Stanley Gordon at Smeaton. The family was now complete with an age span of 26 years from the oldest to youngest child. Around 1927, the Riddifords moved into Ballarat, taking up residence at 619 Humffray Street South. 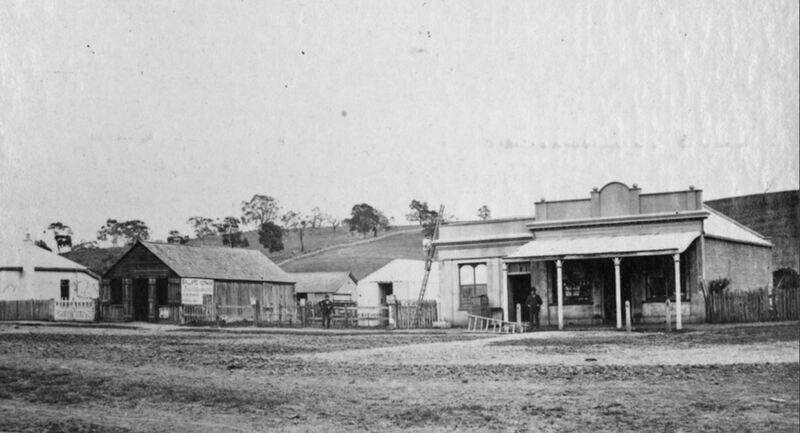 Thomas returned to the butchering trade, operating a business in Peel Street South. The older boys were getting married and starting families. The three boys that served were living in Melbourne. Ern and Cyril married Jessica Prideaux and Amelia Romeril, respectively, from Port Melbourne. They had two children each. Bill married Creswick girl, Florence Bowley but they lived in Port Melbourne near to Ern and Cyril. 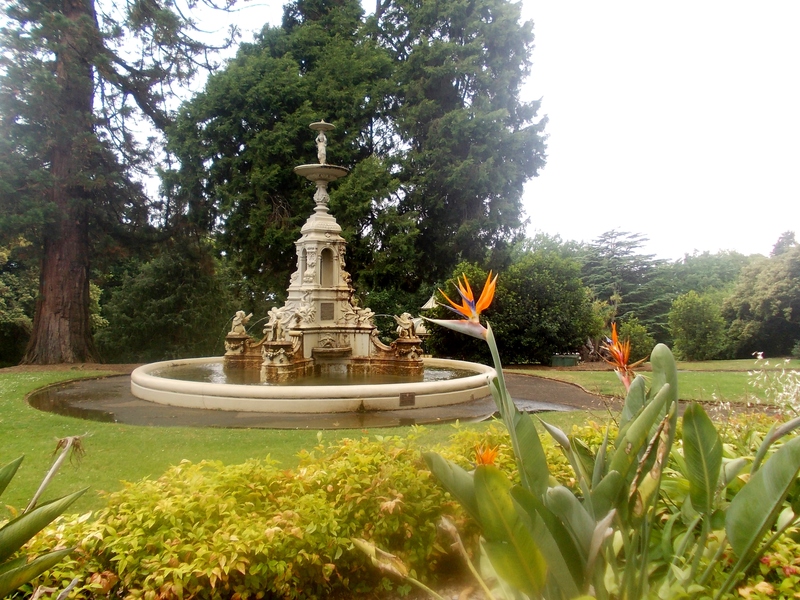 Bill and Florence moved to Creswick in their later years where they remained until their passing. They had no children. The photos (above) and (below) have an interesting story that can be read in the R is for…Riddiford post. 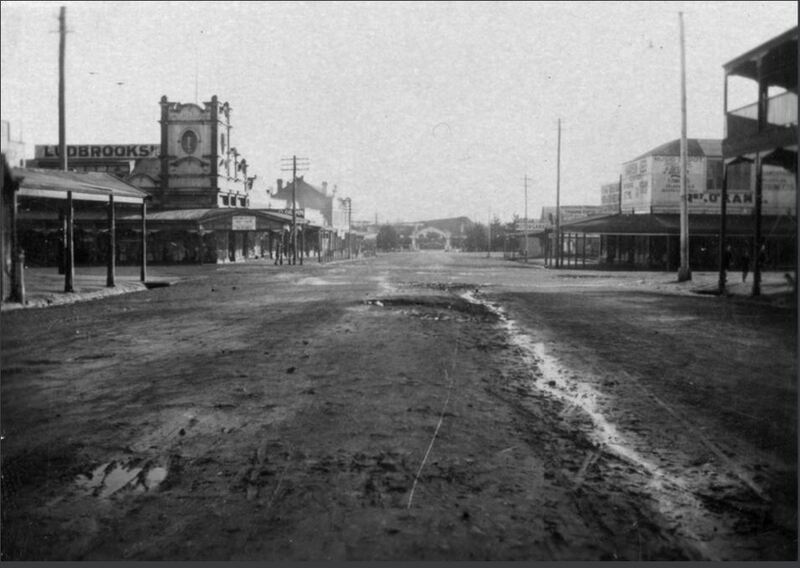 The photo below has “Clunes” written on the back, but the date of the photo would be the 1930s by which time the Riddifords were in Ballarat. The shop may have been in Peel Street South Ballarat and if so, it no longer exists. 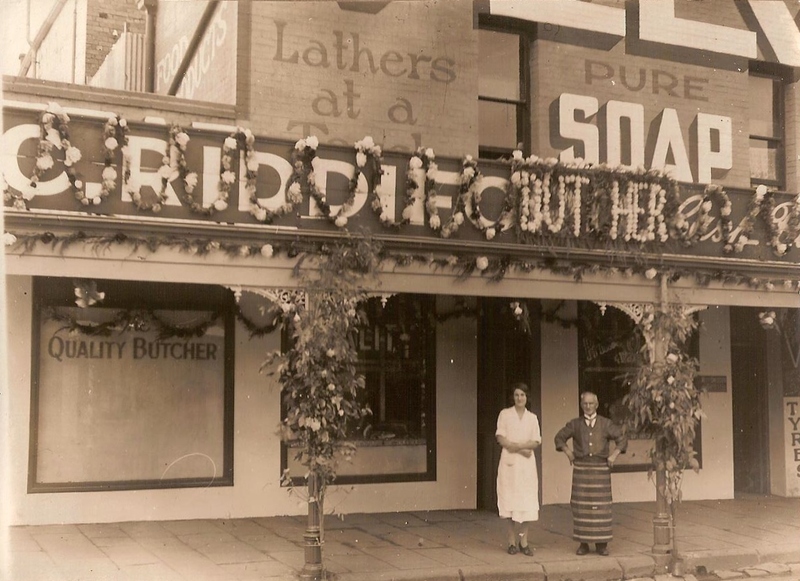 Aside from some time in Geelong, Reg also remained in Ballarat and followed his father’s trade as a butcher. He married Mavis Goldby in 1932 and they had two daughters. Stan enlisted in WW2 and on his return built a house next to his parents in Humffray Street, He married Amy McBain and worked as a carpet layer. They had two children. 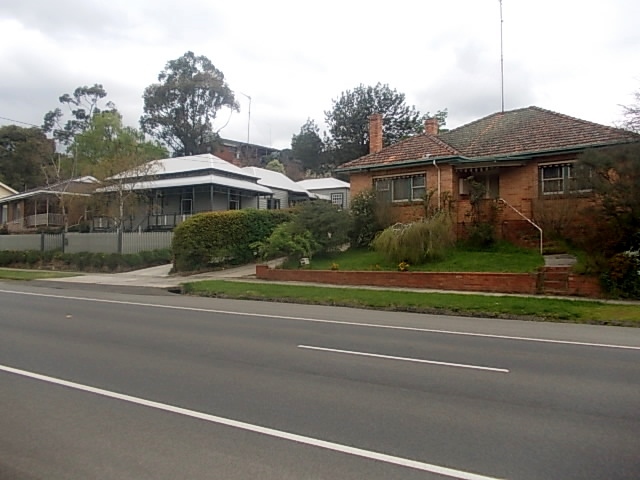 HOMES OF TOM & QUEENIE (left) AND STAN & AMY (right), Humffray Street South, Ballarat. Lil married Ernest Horgan and had one son. She remained in Ballarat. Dad remembers family get-togethers in the 1950s with singalongs with songs such “Knees up Mother Brown” . That song was recorded in the 1930s but thought to be an old Cockney song and was, for a time, sung at matches by West Ham supporters. There were also visitors from England to Humffray Street, including Caroline’s parents and cousins of Tom. The move to Humffray Street in 1927, in the suburb of Mt. Pleasant, was Thomas and Caroline’s last move remaining there until their deaths in 1957 and 1962. Thomas must have found the promised land, his Shangri- La. Maybe if his father had travelled to Australia in 1876 instead of Canada, Thomas jnr. may have reached his destination earlier and Thomas snr. would too have found what seems to have alluded him. My grandfather Percy, went on to work as a tram conductor in Melbourne and Ballarat. He married Mavis McLeish in Melbourne in 1932 and they had four sons. Mavis passed away in 1943 and in 1944 Percy married my grandmother, Mavis Combridge. They returned to Ballarat and they had three more sons. Dad recalls during the 1950s when they were living in Forest Street, Wendouree, Grandpa would clear out the dining room and call square dances with up to 10 couples involved. 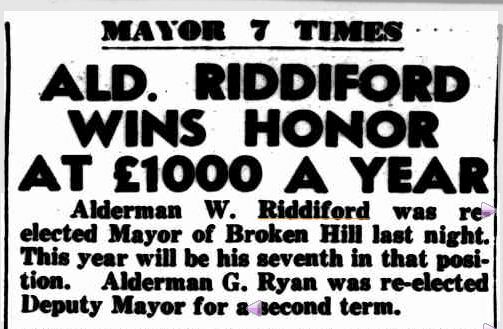 At one time the younger boys attended Redan Primary School and Grandpa was on the committee and worked there as a cleaner. He also worked on the gate at the Ballarat trots and one of my last memories of him was there…as we called by the trotting track one night, on our way home to Hamilton, to say goodbye to Grandpa. He died in 1974 when I was six. Tom, Queenie, Bill, Cyril, Ern, Percy, Reg, Lil and Stan…this one’s for you. I used to imagine life for my great-grandmother, Caroline Kirkin, arriving in Victoria in 1913, with husband Thomas Riddiford and five sons and the difficulties she faced as a woman in such circumstances. Hardly pioneer times, but without siblings and parents, and living in the small country town of Smeaton, north of Ballarat, she must have felt alone. She may not have had the companionship of other women at a time when she was raising small children with more on the way. In time, she would have made friends, but would that have been the same as having family to share memories of growing up in London, a long way removed from country Victoria. I have also considered life for Susan Reed, my ggg grandmother and wife of James Harman. She arrived at Portland in 1852, a new bride at 22. As assisted immigrants, James had to work for a local property owner to repay their passage, and Susan would have been left alone. Babies began to arrive in 1854 and James would have been busy establishing a life for them. 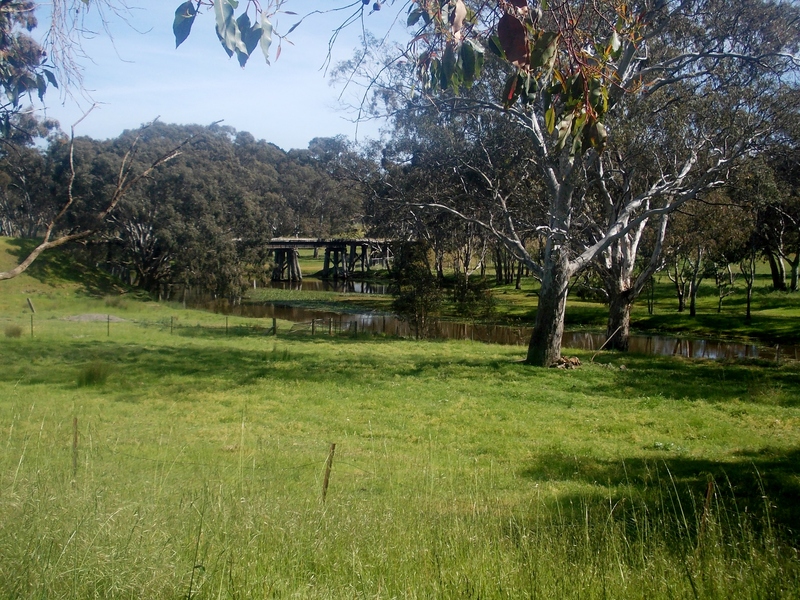 Images that would come to mind resembled a Frederick McCubbin painting. Even Rosanna Buckland, who has led me on a merry chase, has evoked similar feelings within me. I felt for her on her on the treacherous voyage to Australia on the “Bombay” and then living in the “bush” at Mt William station with her husband James Mortimer. Later in my research, when I began to investigate the siblings of these three women, my picture of their lives in Australia changed. I snapped out of my romantic imaginings to the reality that these women had a greater support system than first thought. They were definitely not alone. 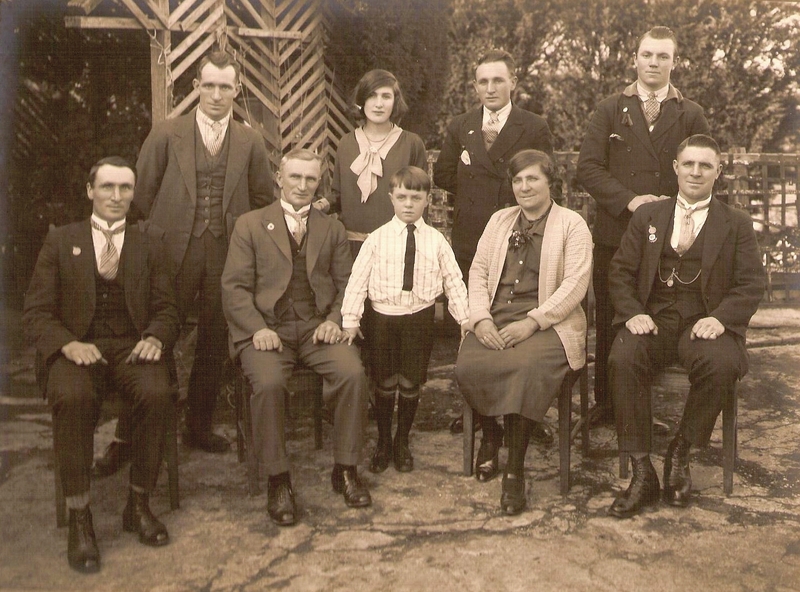 Susan Read left siblings, including a brother William, at home in Melbourn, Cambridgeshire. Searching the Victorian BDM’s for Susan’s death record, using just parent names, brought up a William Reed who died at Muddy Creek, in 1889 with the same parents as Susan. I had found Susan’s brother living just down the road from her. William married Sarah Burgin in 1866 and they had seven children mostly in the Warrabkook area. Woman of mystery Rosanna Buckland, was not the only member of her family who could lay claim to the title. Rosanna had a younger sister Elizabeth, who married Richard Myhill in Berkshire in 1851. While browsing the passenger list of the “Bombay“, the Mortimer immigrant ship, I found Richard and Elizabeth Myhill also on board. Elizabeth got off the ship, but where she went after that is unknown. Richard Myhill shows up time and time again in the records and newspapers, but married to Isabella Ross (1860) not Elizabeth Buckland. So at least for some part, Rosanna had the support of her sister, who may have been a welcome helping hand on the “Bombay“. Caroline Kirkin had a younger sister Ada. Ada married Frederick Sturdy in London in 1911 and had three children by the time Caroline departed for Australia. By 1914, Ada, Frederick and children were themselves sailing for Australia. I first found this after a search of Frederick William Sturdy at Ancestry brought up a match on the Australian Electoral Rolls. The record listed his wife as Ada Sturdy and they were living in Sturt Street, Ballarat, the same town as Caroline. How could I have not known about Caroline’s sister and her family? No-one had ever mentioned them. The Sturdys stayed on in Ballarat before moving to Melbourne sometime around the outbreak of WW2 as Frederick had enlisted. But wait that’s not all. I was researching Caroline’s father Frederick Kirkin, who lived and died in London. He was from a family of ten children, so I proceeded to find out more about them. I knew that Frederick’s sister had married a Henry Smith, and it was another search at Ancestry which brought up a match for Elizabeth Rose Smith on the Australian Electoral Rolls in 1919 at Geelong. A search of her death record showed she was in fact a Kirkin. Elizabeth and Henry had three daughters, two I have confirmed came to Australia, but at the time I did not follow them up further. 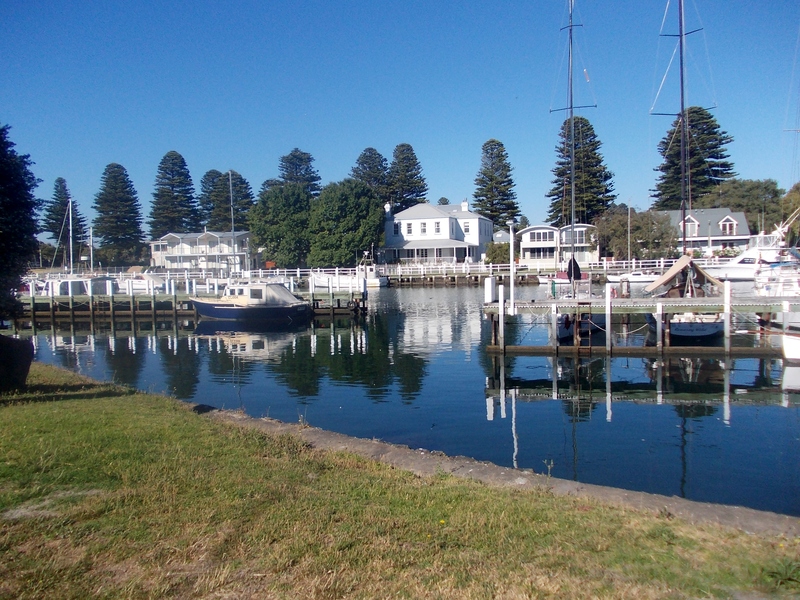 All along Caroline’s aunt and cousins were living in Geelong. But wait that’s not all. 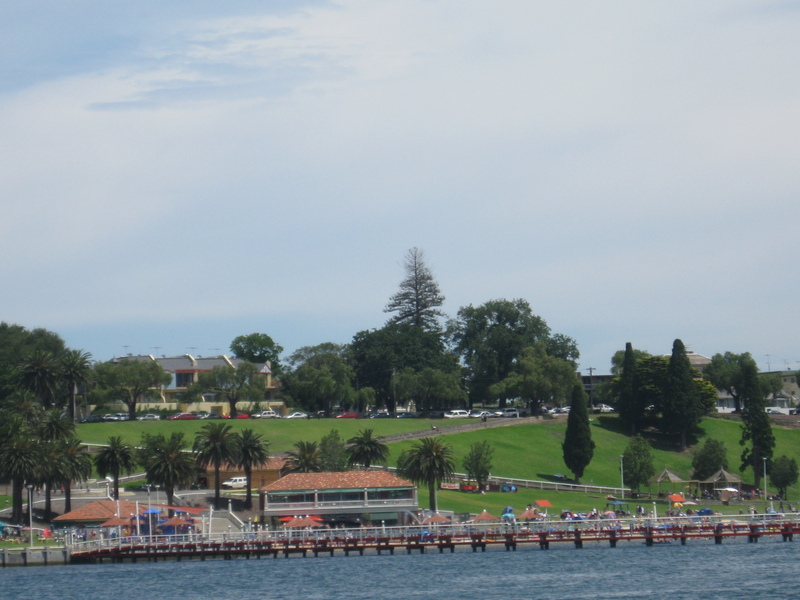 Recently Dad told me he had thought of the two families he boarded with in Geelong as a teenager. He had talked of them in the past, by name, but names I was not familiar with. He thought maybe they were related to Grandpa, and I immediately thought of Riddiford relatives, although I thought I had them covered. I completely overlooked a possible Kirkin link. I worked back from the death and cemetery records of the couples. To my surprise, the wives of each of these families had the maiden name Smith, none other than Emily Eliza and Elizabeth May, daughters of Henry and Elizabeth Smith. 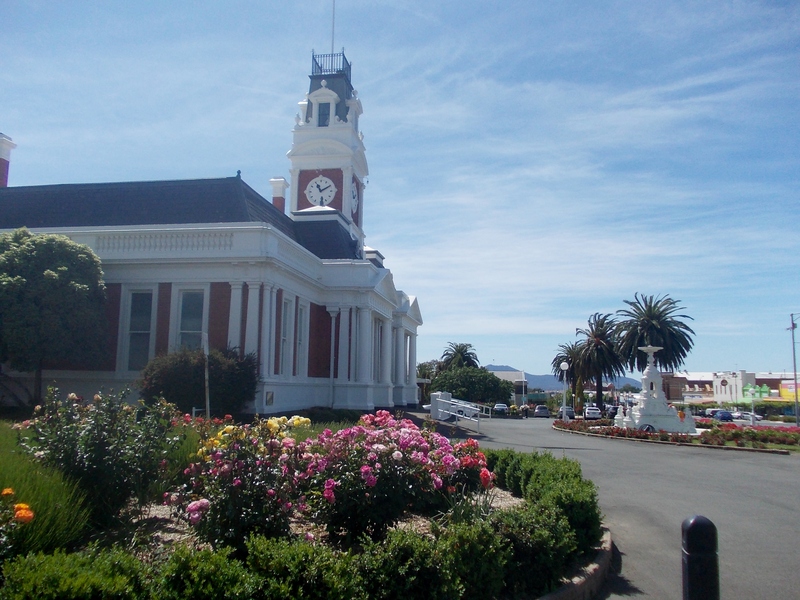 They had married Fred Baverstock and Fred Harrison in Geelong. Dad had been boarding with his first cousins twice removed and did not know it. But wait that’s not all. Whilst this research was going on, I found a UK Incoming Passenger List record for Caroline’s parents, Henry and Amy Kirkin. 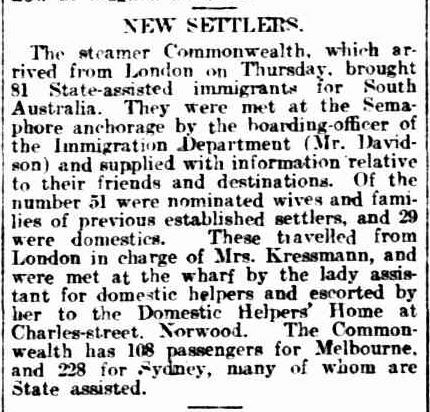 They had arrived in London in 1926 from Melbourne. Nothing unusual with that. They may have visited daughters Caroline and Ada and sister Elizabeth, but what was that reference to their last place of permanent residency? New Zealand? A search for people researching the Kirkin name revealed one with a New Zealand email address. I contacted him, asking if he had any clues. I mentioned a daughter, Ivy, who I had found no trace of in English records. Could she have been in New Zealand? He replied that Ivy did go to New Zealand, married and he was her grandson. His father had mentioned that Henry and Amy had gone to New Zealand on holiday to visit their daughter. He was not aware of them living there for an extended period. More research is required on Henry and Amy’s New Zealand adventure, as while they returned to England in 1926, they were on the 1928 New Zealand electoral roll. They both died in London, Amy in 1929 and Henry in 1935. Suddenly I had Kirkin relatives in both Victoria and New Zealand. A long way from thinking that Carolyn was the only Kirkin in the Southern Hemisphere. So with my romantic illusions shattered, I am reminded that often the lives we perceive for our ancestors is not always as it was. The more information we can gather goes a long way to creating a realistic picture of their lives. Researching brothers and sisters of direct ancestors can help fill in some of the gaps and if you are like me, the brothers and sisters sometimes led more interesting lives. While I cannot forget the many pioneer women who did suffer hardship from isolation, not seeing another woman for months, these three women were not in that category. Aside from the arrival of a relative, in Susan’s case, she may have formed networks via the families’ strong links with the Wesleyan Methodist Church. 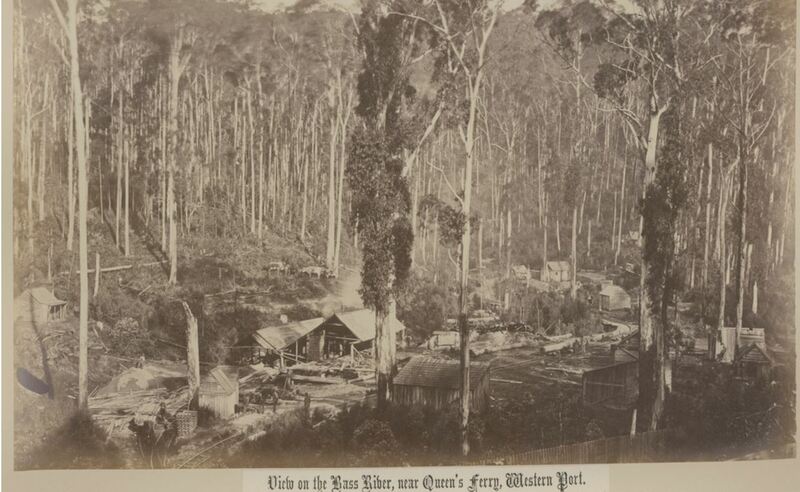 Rosanna could have shared the company of the other station hand wives, living and working at Mount William station. Despite feeling somewhat cheated by my discoveries that Susan, Rosanna and Caroline’s lives may not have been as I first thought, I am now compensated by having Kirkin and Read/Reed links close to home. Rosanna still owes me!